Can We Learn Information While Asleep? Mind and Body Can We Learn Information While Asleep? Your exams are days from now, and you lack time to review all of your subjects. To supplement your review time, you decided to download an ebook or record your own voice while reciting key information. Is it possible that we can learn information while having our good night sleep to aid us for the incoming tests? Is it possible that we can remember the words played while we are asleep? This technique is called hypnopaedia or sleep-assisted learning. Does hypnopaedia work? Many people claimed that hypnopaedia is the real deal. It helped them pass grueling exams, master ornate foreign languages and a further improvement of skills. Many people also believed that listening to classical music while asleep can considerably soothe tension for future examinations. In a study conducted in an unspecified university, more than 60% of students believed that people can learn new information while in deep sleep. Unfortunately, cognitive scientists such as neurologists refute hypnopaedia. They have conducted studies that there is no concrete evidence for the potency of sleep-assisted learning. Indeed, a person in deep sleep can't perceive the words amplified by the speaker. 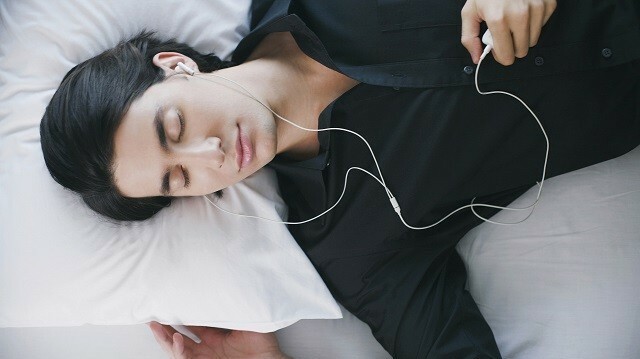 Listening to recordings while asleep is also detrimental for your auditory health. It is recommended to just focus on your reviews and just listen to classical music in a lower volume.